We provide clear and simple prices with no hidden extras! All major credit cards accepted. Our locksmiths are on call 365 days a year. We have a 20-30 minute emergency call out time. All work completed by Smartlox is fully guaranteed and insured for your piece of mind. We also provide a complete after care service. NO FIX NO FEE. If we can't fix the lock, you don't pay! Our locksmiths have over 30 years experience, but for any reason we cannot fix your problem immediately you will not have to pay. The locksmith unjammed our broken french doors and repaired the lock with a new mechanism. Good reliable service from a local tradesman, top marks. We use this chap on a regular basis for our warrant work. Always punctual and a well respected member of our team. Possibly the best service in Edinburgh, opened my lock in less than 60 secs ! ! As a genuine local locksmith, our response times and prices cannot be matched by any national competitor advertising within Edinburgh and the Lothians. You’ve probably searched online for a 24hr emergency locksmith or called around a few companies and got through to call center operators that gave you an unclear or expensive quotation. These companies are best avoided as they rarely have your best interest at heart and will be charging a premium for their middleman services for locksmiths and safe opening in Edinburgh. Nowadays the problem with finding a reliable service within the Lothians is finding one that is actually based here and trustworthy. Choosing a reputable family owned companyin Edinburgh is going to be your best option and Steve at Smartlox is just the man you are looking for! Steve Smith is a master technician with over 30 years experience in the locksmithing and safe opening business and offers a wide range of security services for both domestic and commercial clients. Since establishing Smartlox in 2000, Steve has worked with some of the most regarded companies in Edinburgh including Ryden property consultants and The Bank of Scotland. Over the years Steve and his team have had to deal with every emergency scenario you could imagine. Whether you have a broken key stuck in a lock or you require all Yale or mortice locks in your property changed, we treat each customer with 100% respect and commitment no matter what the job involves. At Smartlox we understand the trust that our customers place in our services. We also recognise the stress and worry of often having to call a emergency locksmith in the first place. This is why we always provide clear information and support to our customers, from your initial call to the successful completion of your job. Additionally, all work completed by Smartlox comes with a full 1-year guarantee for your peace of mind. Before you hire the services of anyone, check whether the company is registered, licensed and insured. This is one way of discovering whether you are hiring credible professionals. 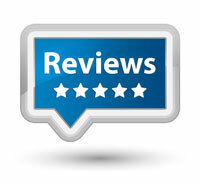 Another option is to check online reviews and testimonials from previous customers. While you may hire a locksmith for standard services every once in a while, there are times when you may find that you’ve locked yourself out of your home or maybe you’ve misplaced or lost your keys and can’t get into your home or commercial space. It’s at times such as these that you need the services of a lockout expert like Smartlox. Though there are a number of locksmiths in Edinburgh, not all of them provide a true 24 hour, 7 days a week service, this can be an issue if you’re having problems at an odd hour of the day or require help on a bank holiday. We at Smartlox understand this and provide seamless solutions regardless of what time of the day or night you call us. Our priority is always to give you access to your property with the minimum of inconvenience to you and damage to your property. As standard, our technician’s aim is to always complete work in a non-destructive manner on all locks, doors and windows. Smartlox’s target response time is 30 minutes within the city and a guaranteed response time of 60 minutes throughout the wider Lothian area. Smartlox offers a wide range of locksmith services for both domestic and commercial clients in Edinburgh and throughout Central Scotland. We install front door locks, window locks, security bolts as well as your standard mortice locks and Yale locks. We can help secure French windows with any of these systems and can also fit pad bars, staples or hasps on outbuildings too. In short, our technicians can handle any type of job with the highest level of expertise. Here is a quick list of some of the services we provide. All locks installed by Smartlox conform to the correct British Standard BS 3621. Today’s modern locksmith has to keep their skills up to date with new products and technologies. Here at Smartlox we specialise in installing and repairing the latest systems, including Registered lock systems, Master suites, Swipe card access systems, Access Control, Electric releases, Digital door locks and Solenoid bolts. For more information or general advice on any type of lock install, call our technicians on 007899958831. As well as providing traditional services you would expect such as lock fitting, opening and replacements, Smartlox are also experienced uPVC specialists that can unjam and repair faulty uPVC door and window locks and replace them if necessary. uPVC locks are complicated parts that can suffer from numerous problems varying from poor alignment to broken metal fragments jamming the door locked. The cost of a uPVC door service is far cheaper than the cost of a door repair consisting of a replacement locking unit, so it is important to give our technicians a call and get the door re-adjusted and working smoothly again before it breaks. It is one of those things that our customers usually just ‘live with’ but in our experience the locks tend to break at the most inconvenient times leaving the owners with the problem of having it repaired, however, we operate a 24h locksmith service so we are always there for you. We also stock a wide range of anti-snap and high security door locks such as the popular Cisa Astral range, for higher security premises and vulnerable properties in Edinburgh. Anything not listed here or you’re unsure about what your options are then please feel free to call Steve who will be able to offer further advice or assistance. Had smartlox come out to the house this week for a sticky lock. arrived on time, did a neat job and weren't too expensive. would recommend them to anyone. After calling around a few locksmiths I got in touch with Steven at smartlox. He gave me the best price for replacing my front door lock. Called Smartbox regarding a broken lock. Steven turned up on time, confirmed what the problem was and then fixed it at a very reasonable price. Would definitely recommend him. Thanks for your terrific service. The locksmith was at my door within minutes. A very fast and expert locksmith. Smartlox was able to fix an issue with my french doors in immediately, and definitely has fantastic knowhow and skills. I would certainly phone them immediately if I require an Edinburgh locksmith again. Good service, quick reply, polite and knowledgeable. Responded to my inquiry in a few minutes on a cold and rainy bank holiday. Extremely pleased. 100% I'd highly recommend using Smartlox. We had a broken key in the lock and the guy was able to save the lock and make it work a little better than it did before. The problem was resolved within the working day, I wouldn't hesitate to use them again. They'd excellent knowledge of the work we needed doing and got everything sorted quickly. From repairing doors to replacing my locks, he sorted any problem in my new house. Also, this locksmith service was very well priced too. Very happy! Smartlox is an excellent company, they provided me with a fantastic service when I needed it most. They're an honest and genuine locksmith that advised me throughout the work very efficiently. This is the second time Steven has helped us out. The guy's a total professional locksmith and 100% reliable. Nice bloke too. Smartlox installed a police compliant C500 Key safe for us and the service and speed was fantastic. Using a contractor you haven't met and not being on site can be a concern but the job was done extremely well and Stephen made sure we were completely happy with it - I would highly recommend SmartLox in Edinburgh and will definitely use them again. Phoned Steven after locking myself out of my flat. He arrived on time, was a really nice guy and worked his magic quickly with no fuss. Would happily recommend him to others. Fantastic locksmith!! Steven was great to deal with. Arrived at the agreed time & very quickly retrieved a broken key that was snapped off in our lock. Wouldn't hesitate to recommend. I was 450 miles from home when my partner locked himself out. I was given the number of Steven at Smartlox after a hasty search on my phone gave me another Edinburgh locksmith who weren't able to attend that morning. Steven confirmed he would attend the property at exactly the time my partner came home from work, and would pick the lock to enable him to get into the house within minutes (in order to change and go out to an interview and another important appointment.) Great customer service! 4.15pm Saturday locked out of flat; 5.15pm Steve gained entry for us. This is smart service and guarantee that we will call in Steve whenever we need a locksmith and will recommend Smartlox to all our friends! Fantastic service. Best locksmith in Edinburgh. I was back inside my house within 45 minutes. I stupidly locked myself and my son out of our flat. I called Steven and he was at our door within 30 minutes. Thanks for your excellent service. Used Steven/smartlox a few times,, and recommended to friends many times! Efficient, good quality and on time..